Roger Waters, one of the bulwarks of the legendary Pink Floyd is interviewed by Amy Goodman of Democracy Now. His recollection of how he came to support BDS is interesting. Just one factual error or omission. Neve Shalom/Wahat Salaam, a joint Jewish-Arab community where he played in Israel, is on land owned by a Carmelite monastery. It could not exist on Israeli ‘national’ i.e. Jewish land because 93% of Israeli land is owned or controlled by the Jewish National Fund and is an integral part of Israel’s apartheid nature. Neve Shalom could only be set up on private Christian owned land. 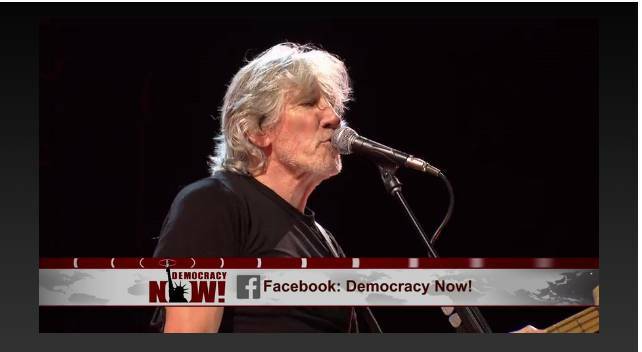 The attack on Roger Water's gig is part of the overall attack on democratic freedoms in the West by the Zionists. They must be resisted but we should understand that this is a sign of their weakness. They need to try to ban the arguments that they can't counteract. But they use that accusation as they do with anybody who supports BDS or anybody who criticizes Israeli foreign policy or the occupation. That is their standard go-to response, is to call you an anti-Semite, to start calling you names, and, hopefully, to discredit you. 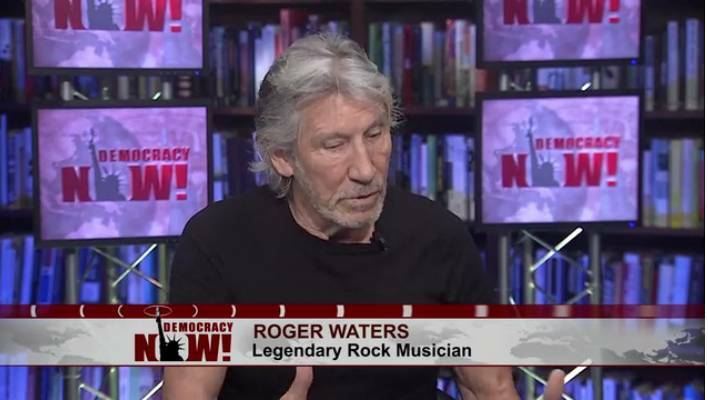 AMY GOODMAN: Today, we spend the hour with the world-famous British musician Roger Waters, founding member of the iconic rock band Pink Floyd. The band is perhaps most well known for their records The Wall and Dark Side of the Moon. Roger Waters recently released his first new studio album in 25 years and is touring stadiums across the country. But the tour has not been without controversy. Waters is scheduled to play on Friday and Saturday nights in Long Island, despite attempts by Nassau County officials to shut down the concerts, which will take place at the county-owned Nassau Coliseum. The reason? Water’s outspoken support for BDS, the Boycott, Divestment and Sanctions movement targeting Israel over its treatment of Palestinians. Nassau County officials had claimed the concerts would violate a local law which prohibits the county from doing business with any company participating in the economic boycott of Israel. Waters has also been met by protests on many other stops on the tour. 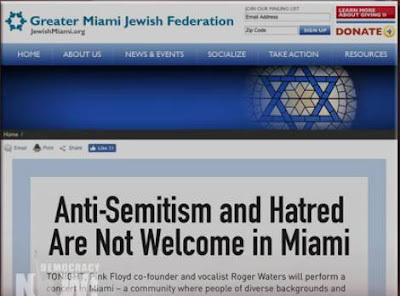 Ahead of his concert in Miami, the Greater Miami Jewish Federation took out a full-page ad in the Miami Herald with the headline "Anti-Semitism and Hatred Are Not Welcome in Miami." The group also pressured the city of Miami Beach to prevent a group of schoolchildren from appearing on stage with Waters to sing during the concert. Despite all this, Roger Waters has continued to speak out. Last week, he wrote a piece in The New York Times. The op-ed was headlined "Congress Shouldn’t Silence Human Rights Advocates." In the op-ed, he criticized a bill being considered in the Senate to silence supporters of BDS. Waters writes, quote, "By endorsing this McCarthyite bill, senators would take away Americans’ First Amendment rights in order to protect Israel from nonviolent pressure to end its 50-year-old occupation of Palestinian territory and other abuses of Palestinian rights." Well, Democracy Now! 's Nermeen Shaikh and I spoke to Roger Waters on Wednesday. I began by asking him to respond to a recent statement by Howard Kopel, a Nassau County legislator, who attempted to shut down Roger Waters' upcoming concerts in Long Island. He called Waters a, quote, "virulent anti-semite" and said, quote, "[E]mbrace the BDS movement and Nassau will not do business with you. There is no room for hatred in Nassau." As far as Nassau Coliseum is concerned, and the specific thing there, I was hoping that the state’s attorney, I guess—I’ve forgotten his name for the moment—was was going to try and take the case to court, and was going to actually litigate with the management of Nassau Coliseum on the grounds that they were breaking some law, because it would have given us a chance to have our day in court and for what I consider to be the side of reason and dialogue and decency and the law and the Constitution and freedom and rights and being grown up about things. I think they—eventually, they’ve looked at it and thought it was too dangerous, because if they had gone to court with us, I think there’s no question but that we would have won the case. And it would have provided a precedent to stop legislatures around the rest of the United States from bringing frivolous cases in similar circumstances. AMY GOODMAN: But you are playing Friday and Saturday night at Nassau Coliseum. ROGER WATERS: Yeah, we are. And I really look forward to it. And we will be playing, you know, to great audiences, who will completely understand, as well, that there is no hatred in my show. I mean, I’m somewhat critical of the current administration in a satirical and playful way, I like to think. But my show is all about the idea that if this—if this race, the human race, is to survive even the next 50 or 100 years, we need to start looking at the possibility of the transcendental nature of love, and we have to start looking after one another and recognizing our responsibility to others, which is what BDS is about, really. 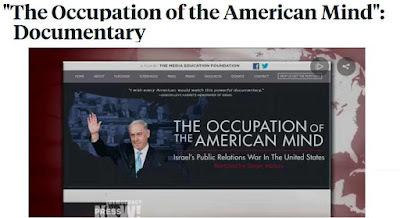 NERMEEN SHAIKH: So, Roger Waters, you wrote recently this op-ed piece for The New York Times headlined "Congress Shouldn’t Silence Human Rights Advocates," and this is about the proposed bill, the Israel Anti-Boycott Act. So could you explain what the act calls for and what your own experience has been with it? ROGER WATERS: Well, yeah. As I read it—I haven’t read the complete draft, but—and I know it sounds ludicrous, but it’s true. There is a bill before Congress, S 720, which seeks to criminalize support for Boycott, Divestments and Sanctions, which is a nonviolent international protest movement to protest the occupation of Palestinian land that’s been going on for 50 years. And they want to make it a felony to support BDS, as far as I understand it, with criminal penalties that are, in my view, absurd. Somebody like me, for instance, if the bill was passed in its current drafting, would be subject to a fine of between $250,000 and $1 million and a term of imprisonment of up to 20 years—for peaceful, nonviolent political protest on behalf of basic human rights for beleaguered people, which is absurd, clearly. When you put it like that, you think, "Well, that’s ridiculous." Why would Congress—why would Congress even be using any of the precious time in the legislature to even discuss such a thing, contravening as it does the First Amendment to the Constitution, which is one of the basic rights that American citizens have, freedom of speech, to say what they believe. NERMEEN SHAIKH: Well, explain your own involvement with BDS. How did you come to learn of it and then to support it in the way that you have? ROGER WATERS: Well, many years ago, in 2006, in fact, I was doing a tour, and I was asked to play in Israel, to do a gig in Tel Aviv. And I’ll try and tell this very quickly. 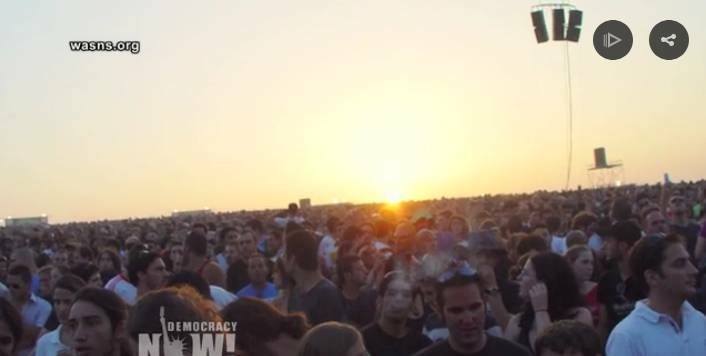 And I started getting—and I agreed to do a gig in Tel Aviv. And I immediately started getting emails from people saying, "Are you sure you want to do this?" And then I was told about BDS, which was started by Palestinian civil society in 2005. And I engaged in a dialogue—that famous word—with these people and with Palestinians, and they convinced me that I should cancel the gig that we were going to play in Tel Aviv. But as a kind of an act of compromise, I moved the gig to a place called Neve Shalom, or Wahat as-Salam, I think it is, in Arabic, which is an agricultural community where many different religions—Christians, Jews, Muslims, Druze—all live together. Their children all go to school together. And, you know, so it’s an—they grow chickpeas for a living. And so we did the gig there, outdoors. And it was a huge success. Sixty thousand Israelis came. No Palestinians, of course, because they are not allowed to travel, but—which is kind of the start of my story. At the end of that gig, I stood up, and they’d been hugely enthusiastic, the audience. And I said, "You are the generation of young Israelis who have the responsibility to make peace with your neighbors and to figure out this terrible mess that your country has got itself into." And there was complete silence. It was like—I saw the 60,000 kids all looking at me, going, "What is he talking about? This is not in the script." So, anyway, I went back the next year, at the invitation of UNRWA. AMY GOODMAN: The United Nations agency? ROGER WATERS: Yes, exactly. And a lovely woman called Allegra Pacheco, who—and we went all over the West Bank. We didn’t go to Gaza, unfortunately, but we went everywhere else that we could think of in the West Bank. And I was flabbergasted. I mean, I had never been—I had never been into—I’d never seen that kind of repression in action—you know, the roads that the Palestinians aren’t allowed to drive on. And they start showing me the development of the settlements. This is 10 years ago now, 11 years ago now. And so—and I went and talked to people in the refugee camps. And I determined, when I left there, that I would do everything that I could, until there was some kind of justice for the people who live there, to help them, which is why we’re here today. So, and the fight goes on. But I’m happy to say that it’s a fight that is being won by BDS. This is why there are people beginning to picket my gigs. They haven’t done for the last 10 or 11 years, but now they are, because they’re beginning to panic, I think. AMY GOODMAN: Roger Waters, founding member of the iconic rock band Pink Floyd. 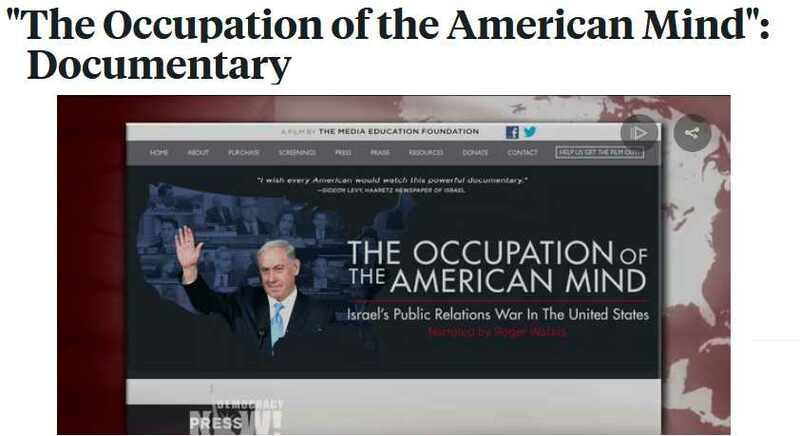 We’ll be back with him in a minute and look at the documentary he narrates, The Occupation of the American Mind: Israel’s Public Relations War in the United States. 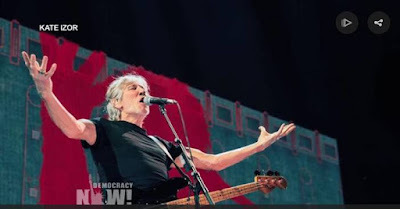 AMY GOODMAN: Roger Waters singing "Pigs," live at the Barclays Center in Brooklyn, New York, earlier this week.